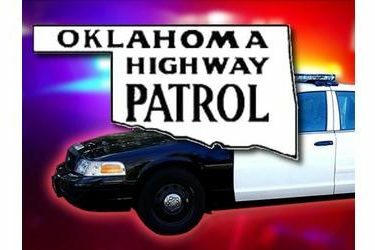 The OHP Traffic Homicide Unit has located the gas tank trailer that lost the dual wheel assembly and caused several collisions on Interstate 40 on Oct. 29. Acting on a tip, troopers located the 2005 Freightliner pulling a gas tanker at a repair facility in Gainesville, Texas. OHP determined the truck was driven by Shannon Fast of Oklahoma City. Fast told investigators he did not realize he’d lost the wheel assembly. He discovered it when he stopped to perform the check he does every two hours. And investigators found that the appropriate inspection was performed on the trailer before it left from a business near I-40 and Council and that no visible evidence would have caused Fast to have found the gas tank trailer in an unsafe condition. The focus of the investigation now is to determine if the dual wheel assembly was tampered with over the weekend. Troopers will be watching hours of video to determine if tampering occurred while also investigating to see if a product failure could have caused the dual wheel assembly to disengage from the gas tank trailer. OHP encourages anyone with information to contact the Traffic Homicide Unit at (405) 425-2323.